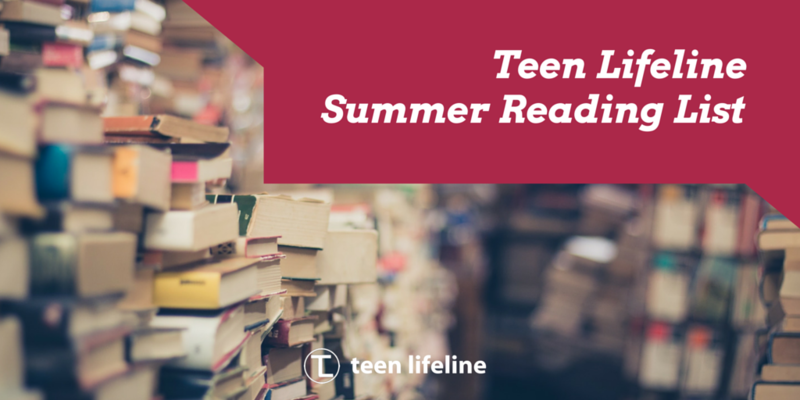 Summer is the perfect time to slow down and read a good book. Maybe you want to learn about something new, gain a new perspective or just need to laugh. As we get closer to the new school year, we hope that you’ll take advantage of the time you have left and stretch your mind! Below are a few of our book recommendations if you need a starting point. I actually read this book (the one for girls, obviously) when I was in High School. It is a light read but packed full of awesome and interesting information. Both of these books are written specifically for teenagers! Backed up with research and stories, this is a great resource for teens, especially as they begin to enter the dating world. They tackle questions like Why are boys so weird? Why can girls be so crazy sometimes? Why do boys want your respect more than your love? Why are good girls attracted to bad boys? Disclaimer, this book releases on July 31, 2016 so I haven’t read this yet. However, it is a follow-up on the Harry Potter series, so it has to be good, right?! This “Script Book” follows Harry and his youngest son, Albus, as they try to overcome the past and the pressure of family legacy. What if there was a roadmap for how to not only survive adolescence but to thrive? This book by Sean Covey offers tools and tricks specifically for teenagers. He covers topics like responsibility, prioritizing, peer pressure and how to handle parental relationships. It is crucial for teenagers to develop healthy habits now – don’t wait and check out this book! Do you feel like you just aren’t communicating well with your teenager? This adaptation of Dr. Gary Chapman’s The Five Love Languages, gives you the tools and resources to show love to your teenager in a way that best communicates to them! This book describes development, explains the teenage world and covers the 5 different love languages. Let’s learn to love teenagers more effectively! Hands down, this is the best book I read this year. While I’m sure men would find this book witty and charming, this one is mainly for the ladies. Jen Hatmaker will make you laugh until you cry as she covers marriage, parenting and important topics like yoga pants and coffee. In a world full of Pinterest and Instagram parents, Jen encourages women to break free of shame and impossible standards. Written by the same person who wrote For Young Men/Women Only, this book uses a survey and interviews with teens and tweens to discuss things that parents don’t always understand about their children. This short book will cover topics such as their need for freedom, how the boundaries parents set impact teens, how to get teens to open up and talk to you, and ways to help them feel more secure and confident. I read this book last fall and absolutely loved it! This book is great for small group (or Teen Lifeline Support Group) principles. By leading small, youth ministers, volunteers and small group leaders can have a tangible impact on teenagers’ lives. By investing, you can have a greater and more long-term relationship. This small books is a quick-read and will equip you to lead great small groups in your youth ministry. It is not a secret, homosexuality is a no longer a topic that can be ignored by the church. Wesley Hill uses personal experience and scripture to discuss the question, Is there a place for “celibate, gay christians in the church?” I have loved the perspective and heart behind this book. It is not a book of judgement or condemnation but offers a message of hope and grace. Have you read any other books lately that you would like to recommend? Please let us know your book suggestions and thoughts after you read some from our list!